Iron is an important nutrient that is involved in many metabolic processes, which can be absorbed from various dietary sources such as green leafy vegetables, legumes, red meat and liver. In certain conditions, the body will absorb a much higher concentration of iron resulting in elevated and possible toxic levels. Elevated levels of iron can cause damage to a variety of tissues and even become life threatening. One can seek simple home remedies to reduce iron in the body. Early signs of iron overload are subtle and easy to miss. Common complaints include fatigue, weight loss, irritability, abdominal pain and weakness. Others may experience irregular menstruation, skin color changes, joint pain and depression. All of these symptoms can mimic other illness and diseases making early diagnosis challenging. As iron levels accumulate, additional more noticeable symptoms will develop. Abnormal heart rhythms, loss of hair, osteoporosis and shortness of breath can occur. Additionally, adrenal gland damage, pituitary gland malfunction, cessation of menstrual cycles and early menopause, underactive thyroid and male impotence are all caused by excessive iron in the body. Excess iron accumulates in a variety of organs over time and results in complications. Permanent scarring of the liver is called cirrhosis and occurs from excess iron and also alcoholism. The liver can become enlarged and stop functioning normally. Liver failure can ensue and is life threatening. Excess iron accumulation in the heart affects its ability to pump blood throughout the body, can result in an abnormal heart beat (arrhythmia), congestive heart failure, lightheadedness, chest pain and heart attacks. The pancreas is a digestive organ and is also highly sensitive to toxic amounts of iron. This leads to lack of function and diabetes. Optimum functioning of various bodily systems requires regulation of various minerals and vitamins including iron. Too much or too little will result in adverse health effects and can be dangerous. Iron supplements are one of the most dangerous substances to children and accidental ingestion can be fatal. On a similar note, those taking iron supplements must pay attention to the daily dosage. Avoid taking a multi-vitamin with iron supplements as many daily vitamins also contain iron. In this scenario toxicity can easily ensure. Infants and children up to the age of 10 require only 10 mg of iron supplement. Adolescents need 12 mg per day. For males, this is reduced again to 10 mg per day for ages 19.50. Women 50 and older also require 10 mg of iron supplement a day. 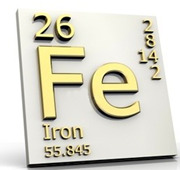 This inherited disease results in abnormally high levels of iron absorption and storage. Essentially, the body is overloaded with iron. The end result is damage to organs and can the elevated iron level can cause a heart attack and increase the risk of developing cancer. Excess iron is stored in the liver as ferritin and over time this can also damage the liver. Alcohol is metabolized in the liver and excessive amounts permanently damage the liver. The normal liver tissue is replaced by non-functional scar tissue and the damaged liver is no longer able to process iron properly. Alcohol has been shown to stimulate excessive absorption of iron from the diet and further damage occurs due to excess iron storage. Certain medical conditions create a high turnover of iron containing red blood cells. Menopause, excessively heavy or long menstrual cycles, hemolytic anemia and repeated blood transfusions can all predispose to excessive amounts of iron in the body. Diagnosis of excessive iron requires a bit of detective work on the part of the patient and physician. Early signs and symptoms can be subtle and similar to many other medical conditions. Medical Tests. Clues from a complete blood count (CBC) can help steer the clinician to the correct diagnosis. Other tests include transferrin saturation and serum ferritin. Family Conditions. A family history of abnormal iron metabolism is also important as hemochromatosis is an inherited disease. Other conditions including sickle cell disease, thalassemia, African iron overload and rare iron transport disorders. Several key dietary and lifestyle strategies can help minimize the risk of excess iron stores developing in the body. Stop Dietary Iron Intake. Recognize that many multivitamins contain iron supplementation. Be sure to read labels. Vitamin C greatly enhances the absorption of iron from the stomach. If you like vitamin C rich foods and juices, drink them between meals to help reduce the absorption of iron from meals. Ban Alcohol. Alcohol increases iron absorption and excessive amounts also damage the liver. Those with hemochromatosis or liver disease should not drink alcohol. Avoid Raw Shellfish. Hereditary hemochromatosis predisposes to infection by impairing immune system function. Avoid raw shellfish and other raw or undercooked meats to prevent a bacterial infection from developing. Drink Tea. Evidence shows that the tannins contained in tea help reduce the absorption of iron. Drinking a cup or two of tea can be a beneficial strategy to reducing excess iron stores in the body. Medical treatments are focused on removing excess iron from the body. This procedure is done on a regular basis and there is no cure for hemochromatosis. The goal is to normalize iron levels. Phlebotomy. After diagnosis, therapy begins by removing one pint of blood one or two times a week depending on iron levels and hemoglobin concentration. This is similar to the blood donation process where a needle is inserted into a vein and the blood collected into a bag. The process is fairly quick and generally takes about 20-30 minutes. After iron levels normalize, blood removal can be done less often. Your doctor will monitor your iron levels and blood count. Some patients can go several months without needing phlebotomy while others accumulate iron much faster and require more frequent blood removal. Treatment is critical to prevent the long-term health consequences of iron overload in the body. Chelation Therapy. This process binds iron and helps the body eliminate it naturally. Certain conditions make phlebotomy unsafe and include anemia and kidney or heart failure. Chelation agents include pill form and injectable medications. The excess iron is then excreted in the urine and stool.